Dauwd - Theory of Colours - Versions. Vinyl EP. Bleep. Dauwd releases some alternate takes of tunes from his excellent 2017 debut LP Theory Of Colours. Despite being just four tracks long, Theory Of Colours (Versions) is a wide-ranging set. It begins with the ‘piano’ take of ‘Analogische Memories’, a lovely wooz of keys and synths in the style of Jan Jelinek. This one is even more impressive when you learn that Dauwd had to learn the piano from scratch in order to perform it. Dauwd is a member of the party/production collective African Acid Is The Future, and fellow AAITF compadre Rouge Mecanique provides two dubs of ‘Murmure’. While the ‘Walking’ edit is a lights-low bongo-house strut, the producer’s ‘Running’ remix is a fabulously kinetic cosmic jazz number. 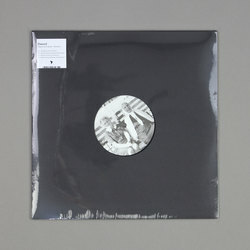 Vakula’s super-deep flip of ‘Macadam Therapy’ completes the set.